be equipped with commercial plumbing equipment such as a hydro-scrubbing jetter system and portable machines to get into tight parking spaces during business hours. Running a commercial establishment whether an office building or a restaurant / bar can be daunting because of the many plumbing problems that can occur. Below are the most common commercial plumbing issues that a commercial plumber can help mitigate for you. 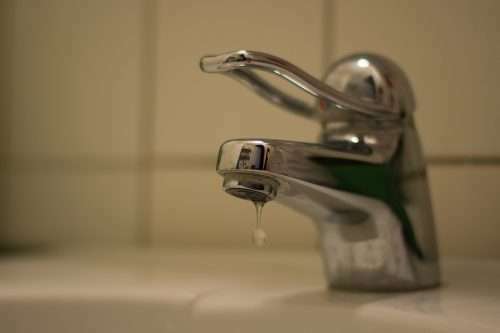 Leaky faucets in bathrooms and restaurants can waste thousands of gallons of water per year as well as expose your establishment to mold and other moisture-related issues. Slow leaks and their damage are often not covered under insurance if negligence on the part of the business can be proven. This is the main reason why having regular maintenance checks is so important for the life of your business and the health of your employees and customers due to mold growth. A seasoned commercial plumbing establishment like Suncoast Plumbing can provide you with the leak detection assistance you need. Commercial bathrooms get no respect. People are less careful in a commercial bathroom than they are at home. As a result, bits of paper towel, non-flushable wipes, food, dirt, and feminine hygiene products often get flushed down commercial toilets. If ignored, these clogs can back up causing sewage to spill out onto the floor of the bathroom. This backup not only is a sanitation issue, but it can cause a loss in revenue if your establishment has to close to the public until everything is cleaned up. Train your employees to look for and report slow-running drains, and contact an experienced, reputable commercial plumbing establishment to inspect the drain. The cost of an inspection could save your tens of thousands of dollars if a pipe backs up or bursts. Minimally, not having a fully functioning restroom can cause customers to go elsewhere which ultimately causes a reduction in revenue. Commercial kitchens in restaurants and bars perform heavy-duty tasks around the clock. In food preparation and disposal, there is an abundance of fats, oils, and grease (FOG) which is the number one culprit of clogged drains. There are grease traps to help alleviate this issue, but they need to be cleaned on a regular basis. Some municipalities require kitchens to clean their grease traps at least every three months. If you are a high-volume establishment, you should consider getting your grease traps cleaned every 1-2 months. Suncoast Plumbing installs, cleans, and maintains grease lines and traps for commercial kitchens meeting all local code requirements. Remember to rely on a commercial plumbing establishment that is familiar with local codes. Here is a free copy of the Charleston Water Supply Grease Trap and Grease Interceptor Standards. Avoid using caustic drain-clearing chemicals, especially near food preparation. A snake is usually the first line of defense; however, a high-pressure hydrojet cleaning of your drain lines every few months might be a better solution if you are a high volume establishment. This should only be done by a an experienced commercial plumbing establishment because if your building is old, hydrojetting will quickly identify any points of failure in your system. Because of the possibility of damage, this is best left to a commercial plumber. Commercial hot water supply systems are far more complicated than residential systems. Additionally, they must adhere to strict licensing guidelines and board regulations. Loss of heat can be both disruptive to your business and time-consuming. When dealing with heat loss, it is best to contact a commercial plumbing establishment. Many commercial establishments have a need for a greater quantity of hot water. As a result, many are turning to the more efficient tankless water heaters because they take up less space and only heat water as it is needed saving you a good deal of money in the long run. Whether your establishment uses traditional or tankless water heaters, it is important that you have routine maintenance done by an experienced commercial plumber to check for and mitigate such issues as corrosion, sediment accumulation, gas leaks, leaking water, and temperature loss. If business increases, you might also want to upgrade your hot water system. It is best to call an experienced, reliable commercial plumbing establishment. Suncoast Plumbing works with leading plumbing suppliers of commercial water heaters and can repair a burst water heater almost immediately. Hot water is a necessity in all commercial establishments for sanitation as well as food preparation. 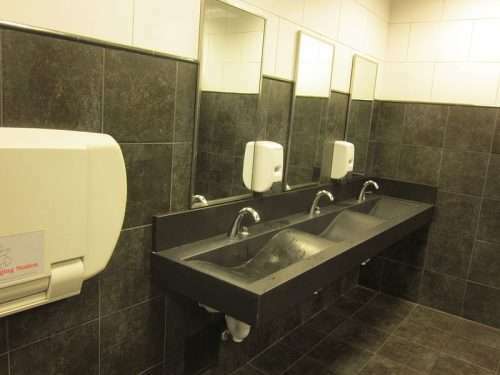 However, it can be dangerous for your handicapped customers who might be in wheelchairs and could burn themselves on the hot water pipes below sinks. To protect your handicapped patrons and be ADA compliant, be sure to insulate those pipes. Here is a free copy of the ADA compliance guidelines. Suncoast Plumbing has over 40 years experience working with commercial plumbing. We are licensed and insured and offer 24-hour emergency service for all commercial establishments from restaurants and nightclubs to hotels and office buildings. eliminating downtime by keeping our vans fully stocked with repair parts. 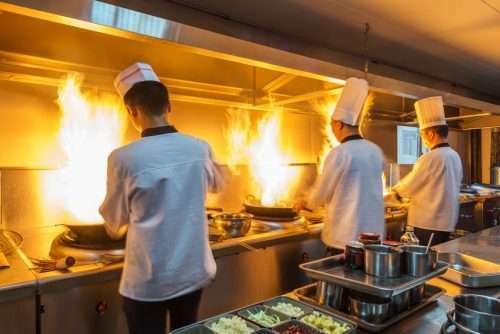 Because Suncoast Plumbing is a fully licensed mechanical contractor, we are able to install gas lines for commercial restaurants and other hospitality kitchens. If you are upgrading your hot water heater or switching to a tankless water heater, upgrading your gas line might be necessary. We are also licensed for gas safety tests and can locate and repair gas leaks that may arise. When it comes to gas, you only want to trust the job to a commercial plumber you can trust who is fully licensed and has the tools and knowledge like Suncoast Plumbing. 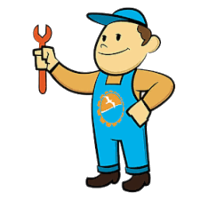 Suncoast Plumbing helps you in your time of need whether an emergency or a planned project. We are here for you for new construction, as well as alterations, improvements, and plumbing upfits. 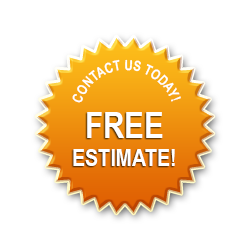 Call us for a free estimate on your project big or small. You will always get an honest estimate from us. Your commercial establishment runs on water. Whether you are using water for food preparation or providing restrooms for your customers and employees, you can’t be successful without water. The old adage “an ounce of prevention is worth a pound of cure” truly applies here. Investing in proper commercial plumbing maintenance can save your business tens of thousands of dollars in lost revenue from downtime as well as repairs. Suncoast Plumbing provides regular commercial plumbing maintenance services to keep your commercial kitchen and bathroom flowing at top capacity. Give us a call to learn about our affordable maintenance programs.